Tokyo’s rail network spreads across the sprawling capital like a huge spider’s web ready to take you anywhere. But although the routes are clear, the system is fairly complicated and perhaps rather unique among rail networks around the world; this is because there are many different companies carrying passengers, often at the same stations or even on the same lines. 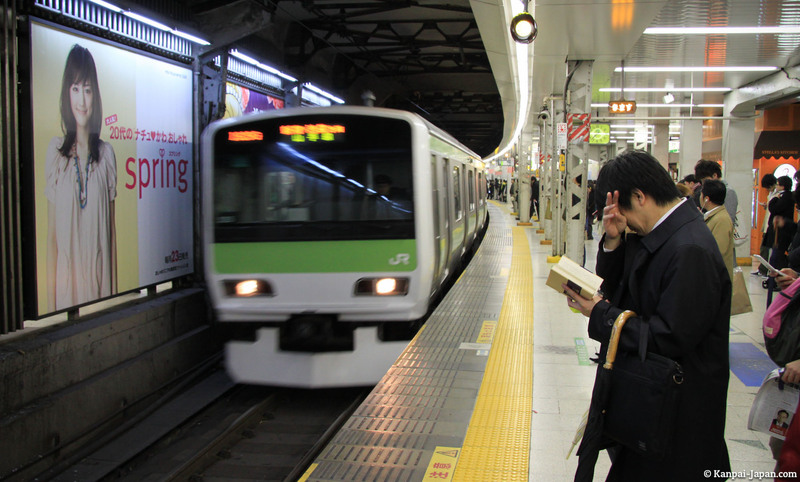 Trains and the subway are still the main means of transportation in Tokyo and its outskirts, and they crisscross the city with the utmost reliability - well almost. 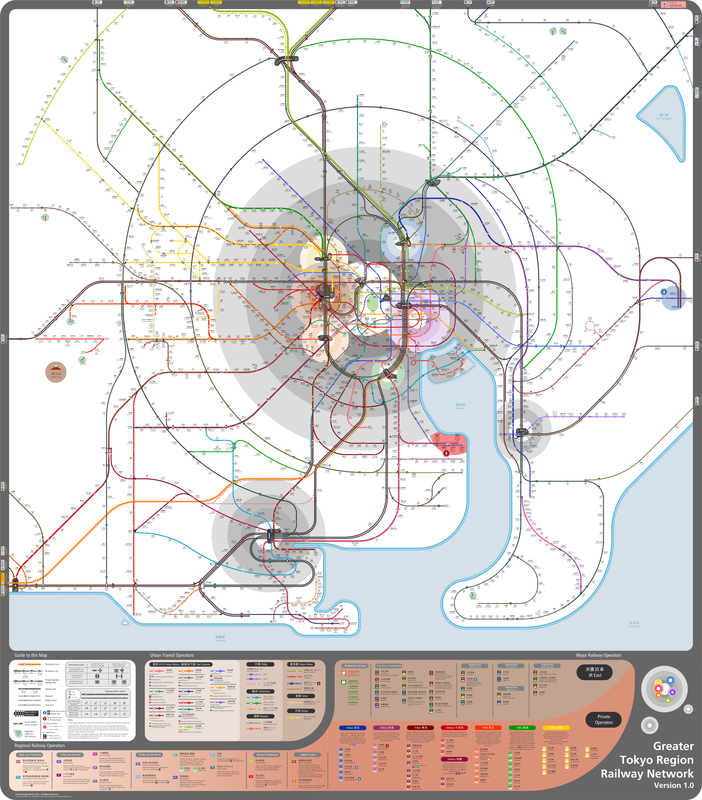 Other modes of transport (buses, bikes and taxis in particular) can complement this system from time to time, but for most tourists, a good command of the rail network is enough to take them anywhere they might want to go in and around Tokyo. You will definitely need to board a train at some point in your trip and you might feel a bit lost at the start, standing in front of a map or in the subway, but don’t worry, it’s not that difficult provided you do a bit of homework before you go. This guide aims to give you all the tips and advice you need to travel with confidence. The name Tokyo actually refers to a large station in the Marunouchi district, close to the center; so make sure you know exactly which station you want to arrive at. 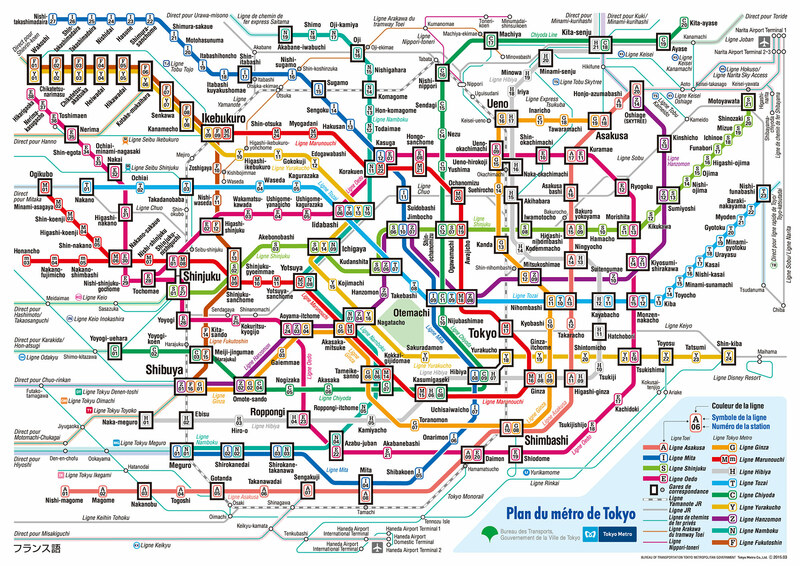 However, in spite of this information which may sound impressive and is regularly compounded by all kinds of urban myths, don’t think that the Tokyo transport network is an impenetrable maze. Quite the contrary actually! 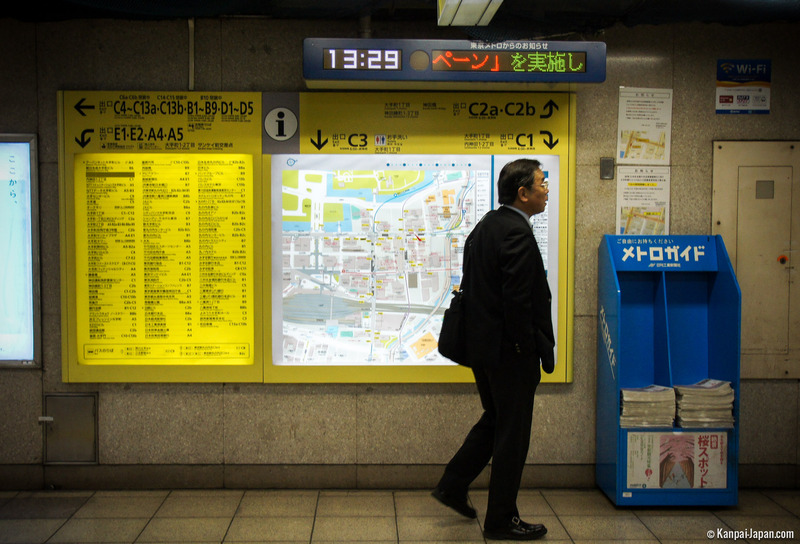 Because if you have already taken the subway in any other city in the world, you are unlikely to get lost in Tokyo. True, there are more lines, more stations and distances are greater, but if you know how to get around in New York, London or Beijing, there is no reason why you can’t get around in Japan. free WiFi thanks to an increasing number of hotspots. For such a dense and busy network to run smoothly, travellers must follow a number of rules governing behaviour. For this reason you must behave in a civilised manner on public transport in Tokyo, perhaps even more so than in any other public area. queue without pushing, and stay within the markings on the floor so that you don’t block the gates, and don’t get into the carriage until everyone has got off the train. eating is normally banned in trains. On some lines, the trains can be very crowded during rush hour periods on weekdays. You only occasionally see the famous "pushers", but it remains a bad idea to travel with bulky luggage, especially at these times. To avoid this problem, we can’t recommend the breathtaking Takkyubin delivery system highly enough. Finally, since the sarin gas attacks in March 1995, there are hardly any bins on public transport. Even though in practice it is not necessarily easy to spot the difference between the trains and the subway, it is still important to understand the distinction to get the bigger picture of the overall structure. Note: underground rails do not necessarily mean it is the subway and vice versa! 地下鉄 chikatetsu or メトロ metro for the underground / subway (サブウェイ subway actually refers to the fast food chain which is everywhere in Japan). The railway lines of greater Tokyo, as in the rest of Japan, are unique in that they are shared by many companies, which are set out in detail below. 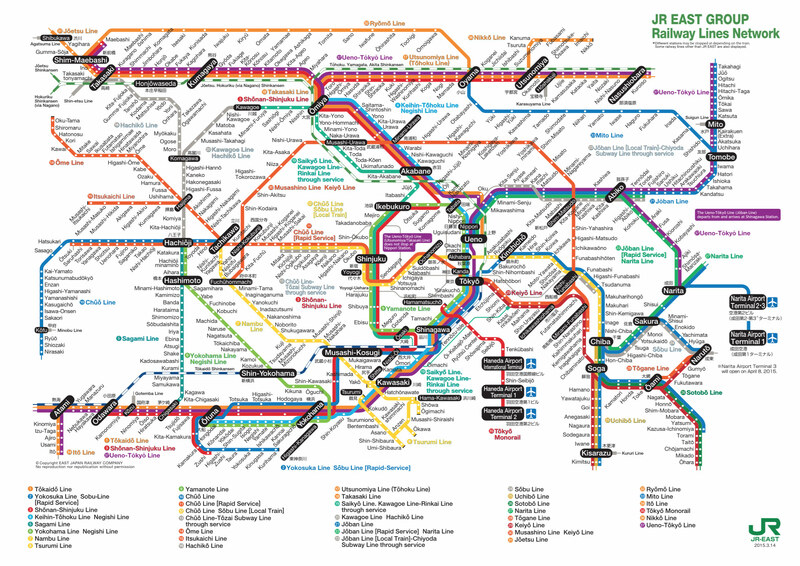 One of the most difficult issues for newcomers is that there is no official map showing the whole rail network (even though you do find homemade ones): each company has its own. However, an indispensable solution exists on the internet and we strongly suggest you remember its name: Hyperdia. 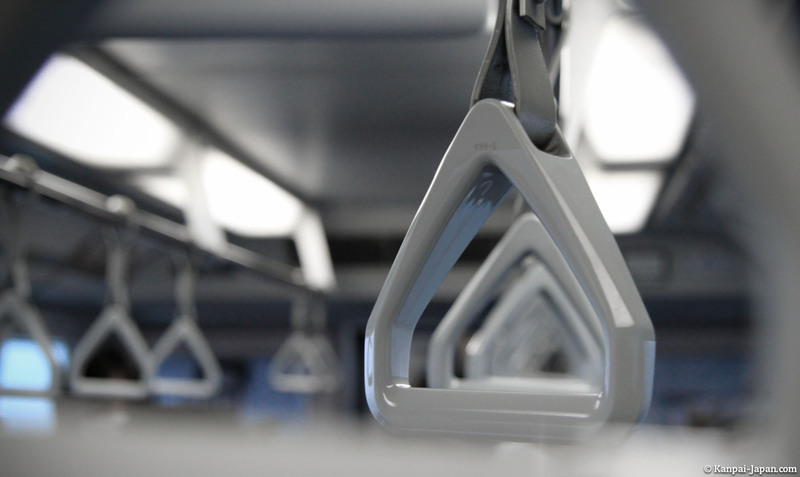 Once you are in Japan, changing rail companies quickly becomes a real challenge in most situations. You have to go out and come back in to change between the different networks, because you have to pay separately to use each company. This soon becomes impractical with tickets, but the transport card (see below) enables you to do this much more simply. 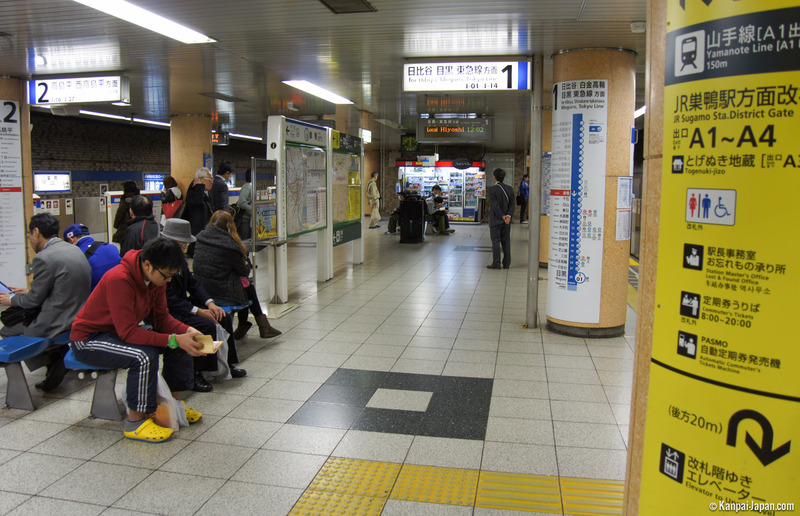 A simple change of train does not necessarily mean only changing platform or floor. If, to go from point A to point C you have to take two different companies, the transfer at point B might involve a walk of several hundred meters to change station even though the stations have the same name (or almost). Or perhaps not! Because different companies each have their own space and their own platforms, and often share the largest stations. 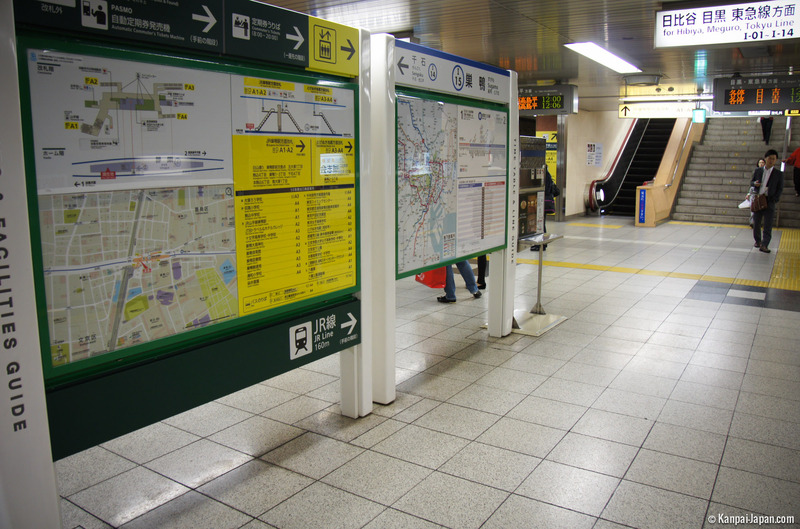 Whatever happens, various reference points will help you find your way when in doubt, such as the many signs, the maps of the lines on platforms and in trains (or screens on the Yamanote), or different bursts of musical jingles unique to each rail company or place. And if you get lost, don’t worry: the staff are, for the most part, very friendly and extremely helpful. As for the timetable, hardly any trains or underground services run between midnight and 5 am. The rest of the day, departures range from regular to very frequent depending on the how busy the line is. In many cases, the texts are written in three writing systems, eg 渋谷, しぶや and Shibuya (kanji, hiragana and the Roman alphabet respectively). 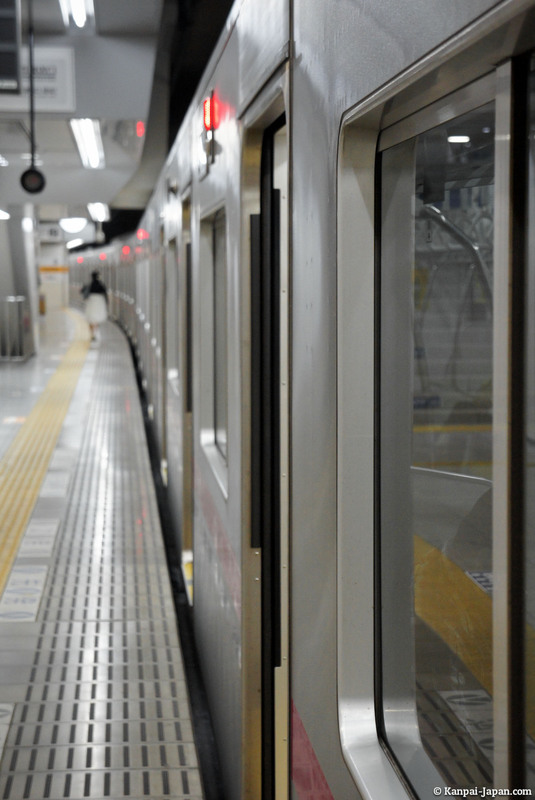 Announcements are generally given in Japanese and English; in the carriages they often tell you which door to leave by to avoid inconveniencing other passengers and/or wasting time. As far as the rest is concerned, it should be gradually completed in time for the hosting of the 2020 Tokyo Olympics! And that’s good news for non-Japanese speakers because translations become less and less frequent as you move away from the center. Another huge help as you leave the rail network are the yellow exit signs which show the location of all the exits. In some of the larger stations, which are like mazes, there might be dozens of these! Signposting in the street is not a strong point in either Tokyo or in Japan in general, so by taking the right exit you can avoid tiring yourself out by walking unnecessarily long distances or getting lost, especially when the weather is bad. In order to make sure you leave the station as close to your destination as possible, take the time to consult these yellow signs and leave through the correct exit. The National Japan Rail Company, or more precisely JR East in this case, runs the only public network in Tokyo. It only operates trains, which run both above ground and in tunnels, but no subway. Tourists know it best for its circular Yamanote or for the Chuo/Sobu cross-city lines, but it has 36 lines in total, each of which is identifiable by a name and a color. JR runs many commuter trains, which connect the heart of the city to its surroundings. There are different speeds of journey, from the “local” to the “rapid-express”, but the fare, which corresponds to the number of stops made, is the same. Make sure that the stop you want is served by the train on the line you are taking. All the JR lines - and only those - are compatible with the Japan Rail Pass. There are several other private rail companies besides Japan Rail, such as Keikyu, Keio, Keisei, Odakyu, Seibu, Tobu and also Tokyu (there are more than a dozen in total). We cover each of them case-by-case on our "Sightseeing" pages. Officially, this is the only subway in Tokyo. The 13 lines (9 Tokyo Metro and 4 Toei Subways) serve the center of Tokyo and its suburbs, running underground most of the time. The way these lines work is better suited to travellers, as each line has its own letter and color. The fact that each station has a number corresponding to the stop makes it even easier to use. The underground stations may look a bit old-fashioned, but many are being renovated. As for the carriages, they are obviously very clean. Because it is always better by writing it clearly: the JR Pass is not valid in the Tokyo subway. With over three billion annual trips, it is the most used subway in the world. In addition to the train and subway, there are two other types of rail transport that sometimes complement them. and Nippori-toneri Liner from Nippori to Minumadai-shinsuikoen to the northeast. Tokyu Setagaya from Sangen-Jaya to Shimo-Takaido to the west. A ticket costs from ¥130 (~US$ 1.20) but, as you pay for the distance covered or the number of stations, there are as many prices as there are possible routes. In Tokyo and its suburbs (except over a very long distance) you cannot book seats, so there is no extra charge on the ticket itself. To find out the cost for a particular journey, Hyperdia again gives the most accurate information. Please note that children (between 6 and 11 years) generally pay half price. You buy your ticket at the station before passing through the ticket barriers. You can buy tickets at automatic machines, which more often than not have an English language option. You can pay by cash (coins and bills) and digital wallet but not bank card. You must pay in advance, by selecting the appropriate fare for your destination. If you find you haven’t paid enough when you arrive you can pay the difference at similar machines (called のりこし精算機 norikoshi-seisanki or fare adjustment machines) before going through the exit gates. The turnstile keeps your ticket when you go through and it is then recycled. However, in the overwhelming majority of cases you will soon see that having and using a card or pass is much more practical than juggling tickets. The passes are easy to use, faster and more flexible and they are often cheaper than single tickets. 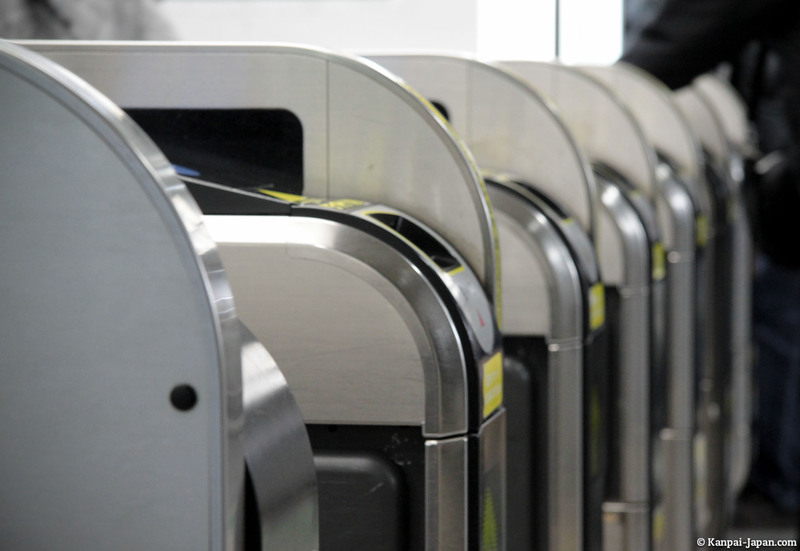 When you have a JRP you don’t need to go through the turnstile; you simply show your pass at the entrance and exit so you don’t have to pay. The JR Pass is not very economical if you are just staying in Tokyo, unless you literally intend to spend all your time time on the train. This digital wallet is used by simply swiping the card on the contactless sensor of the entry and exit gates. The cost of your journey is automatically deducted from the remaining credit which is displayed each time it is used. As well as being extremely practical, the Suica card also offers a 5 per cent discount on all trips. Different brands of cards (Pasmo, ICOCA, etc.) are of course also compatible with the Tokyo rail network. You can get a monthly ticket with the Pasmo card but, unlike most other big cities in the world, this is only for a single predefined line. This means it’s not useful for tourists, and hardly worth it for locals unless they make the round trip every day, usually to get to work. The three-day Tokyo Subway Ticket is particularly good value, but you need to ensure that the places you plan to visit are definitely served by the underground system. As with the JR Pass, they are only available to foreign tourists. 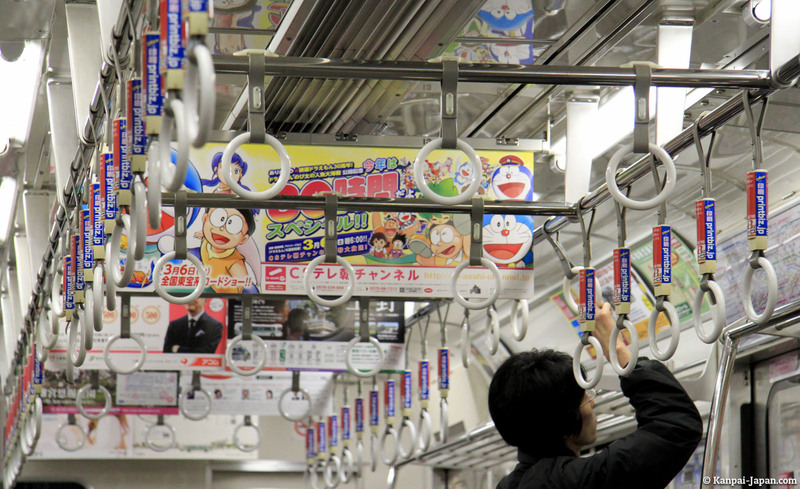 Tokyo Free Kippu (¥1,590 / ~US$ 14.20), a one-day pass for all train, subway, bus and tram journeys. If, in spite of all this, you are still worried about using trains and the subway in the Japanese capital, Kanpai suggests you call on the services of a Keikaku guide. Their welcome service at Tokyo airport in particular allows you to spend a few hours with a private guide who will be happy to explain how everything works in practice, and help you with your trip.